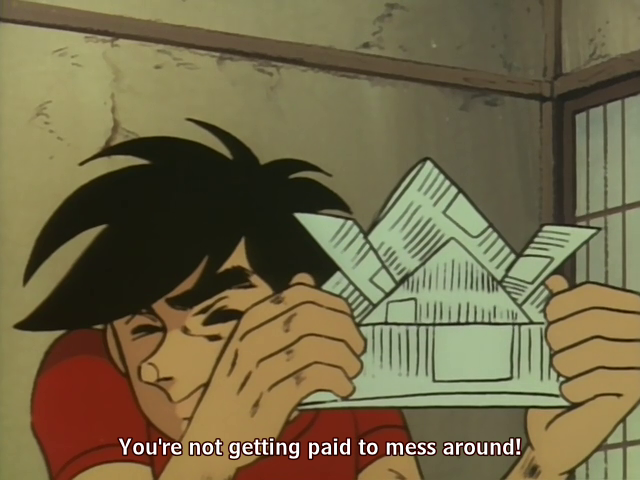 Initially, I was not too keen on watching Maria the Virgin Witch (aka Junketsu no Maria); but many posts on the show inflamed my desire to do so, and Kaze’s comments in the 8th podcast of Beneath the Tangles proved to be the final impetus. In any event, I gobbled up these twelve episodes in three days. The show obviously derives from a liberal mindset, but it’s not as unfair to the Church as many other liberal takes on the Middle Ages. The reason for this lies in the author having a decided interest in the Middle Ages and Church history; though, one wishes that he had added a double dose of Catholic theology to his studies. 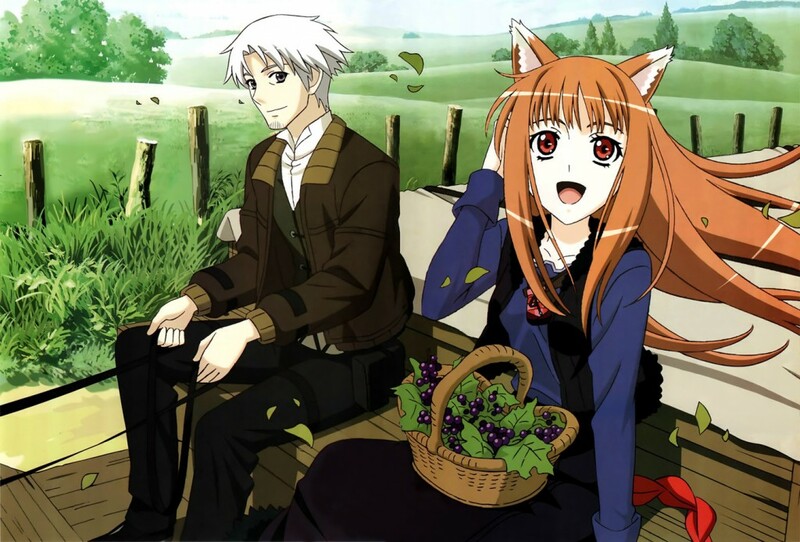 But, in this post–presented in the Quick Takes format, I wish to write about how well the show represented the Middle Ages. I’ll talk about its philosophy another time. The armor, weapons, and battlefield tactics employed at this period in history are all very well researched by the author. Not a single piece of armor or weapon is anachronistic or incorrect. There are problems with the sword and buckler fights and with how well two-handed weapons are sometimes wielded in just one hand. Also, there is an obvious absence of chainmail, but that can be explained by the difficulty of animating a coat of rings. Manga’s probably the only format you’ll see a byrnie in. 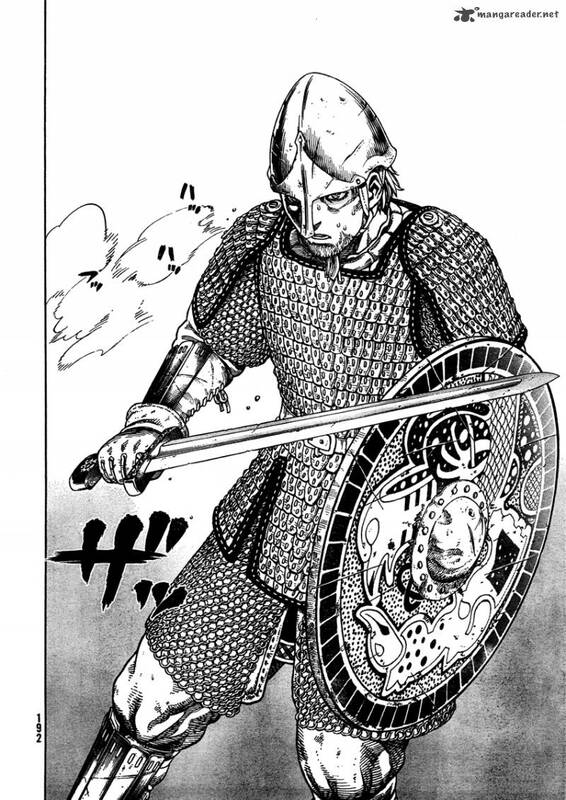 From Vinland Saga. I like how the anime features primitive examples of the firearms which were first coming into use. The depiction of Britain’s standard defensive tactic relying upon longbow archers protected by men-at-arms was perfect. 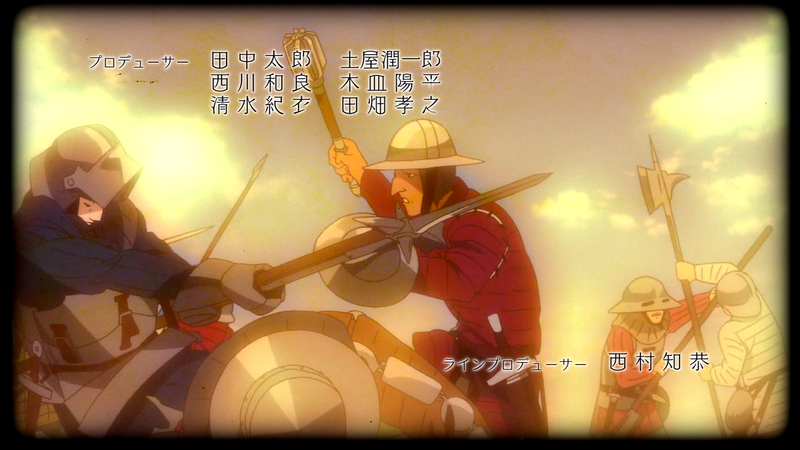 I also can’t remember the last time in an anime medieval soldiers wore gambesons, the padded coat which most soldiers could afford as armor. I have a professor who doesn’t mind when I mix anime and philosophy. 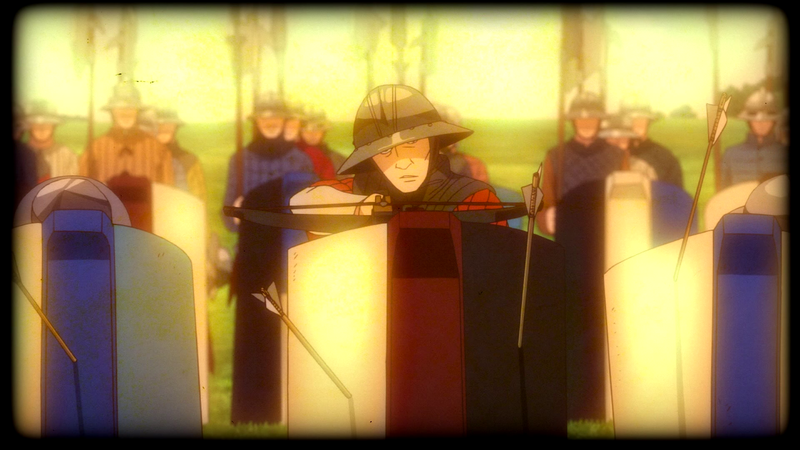 I wrote this prior post on Samurai X: Trust and Betrayal for his class. This particular post relies on a Schelerian reading of Attack on Titan and Claymore. Max Scheler’s ideas about the importance of how levels of sympathy build upon one another will be discussed below in two posts. Enjoy! Max Scheler adamantly insists that levels of sympathy build upon one another and that the higher cannot exist without the lower. Similarly, the best drama relies on the viewers truly loving the main characters and being engaged in all their experiences. Therefore, many dramas contain a modern setting, which allows for easy identification: the characters live in the same environment and have the same experiences we do. On the other hand, when an author wishes to place a drama in a different time, he must pay particular attention to the realm of identification so that the audience can be more easily brought up to the higher realms of sympathy and desire to feel and experience what the characters do. 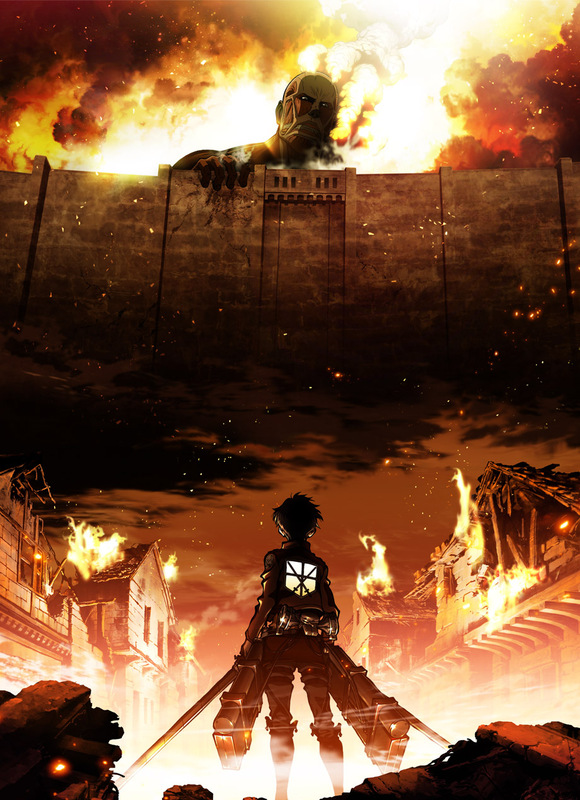 To show this, I propose to juxtapose two animated series: Claymore and Attack on Titan. The first succeeds in creating an atmosphere for the audience to identify with the characters, while the later fails. 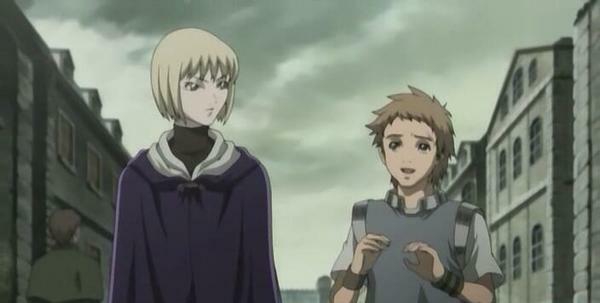 First off, we ought to note that both Claymore and Attack on Titan are fantasies. Most of the time, fantasies are stories of adventure meant to transport our minds from our humdrum existence and provide a bit of fun. Very rarely will one come across a fantasy which describes a serious plot and even more rarely will one come across a tragic plot. 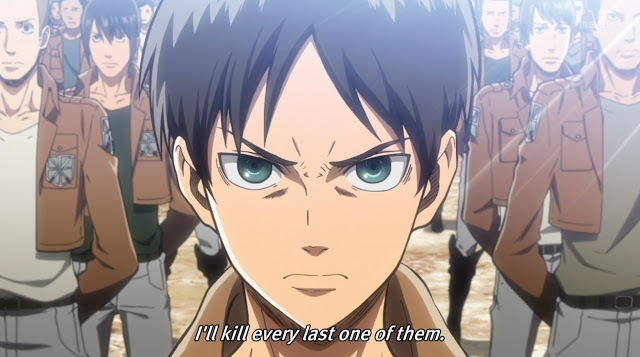 Attack on Titan decided to do the later and also in the monster slaying genre— very rare choice for drama. 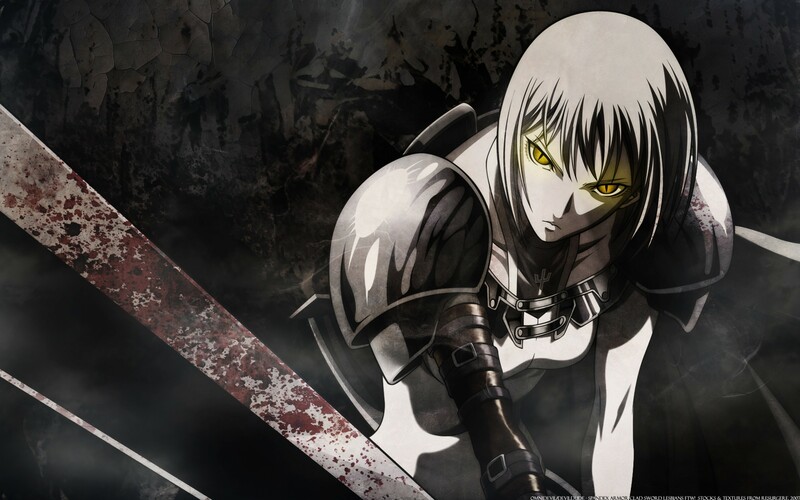 Indeed, the only other serious monster-slaying show which comes to mind is Claymore, but I would not place it at the level of a tragedy—no matter how grim the story becomes. Max Scheler writes in his chapter describing the dependency of the levels of sympathy upon one another: “It seems to me that identification underlies vicarious feeling in the (timeless) order of functional dependence…”1 Therefore, one must identify with characters before one can begin to imagine what the characters must feel like, i.e. the vicarious state of sympathy. But, fantasy itself places many hindrances on the audience identifying with the characters, especially the nearer the setting approximates the medieval world: the technology is well beneath what we are used to, the political system differs, death more frequent, the scope of medieval people’s worlds is much smaller, their lives much harsher, religion more ubiquitous, etc. Many times, anachronism is employed to try to make the characters more modern. 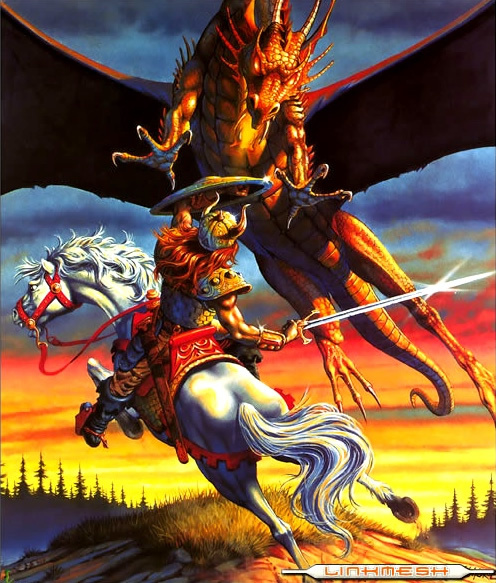 For example, the characters in The Lord of the Rings smoke pipes, and a knight offers his pupil a cigarette in the short story The Fifty-First Dragon. But, primarily, identification between moderns and medievals must occur on universal human experiences: family, romance, friendship, parties, and the whole host of events which humans experience in every age. The protagonist ought to have a love interest, good friends, some family troubles, and personal foibles. 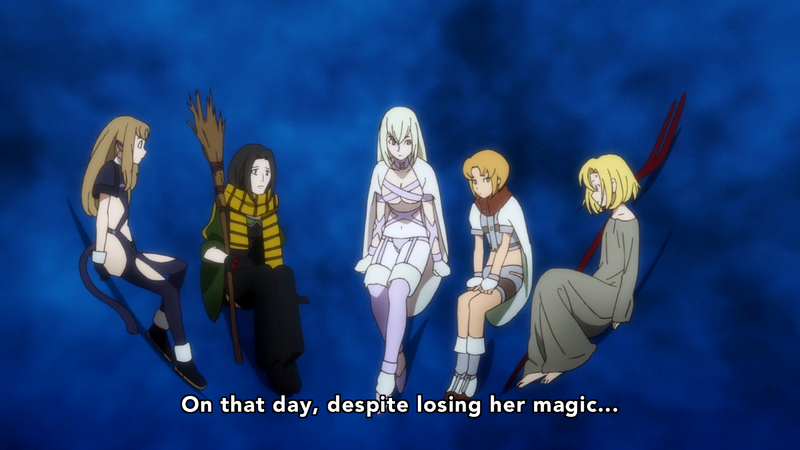 If the author cannot establish good identification between the audience and the characters, he had better realize that he ought eschew drama in order to write a story which relies on the audience reaching the vicarious level of sympathy, such as a fun, entertaining monster slaying show. The audience can then escape into fun daydreams about slaying dragons and ogres without being troubled by a serious storyline. And so, when we are introduced to characters at the beginning of a story, we seek out the ones with whom we naturally identify. From here, we generally grow in liking or disliking them according to what they further divulge about themselves through word and deed. Max Scheler writes this about the subject: “If a man is to achieve his full realization of his ideal capacities, his various emotional powers must all be cultivated…There can be no full development of the higher, though necessarily rarer, emotional powers in man, where the lower but more common ones have not been fully cultivated.”2 In the same way that one cannot achieve the higher states in oneself without utilizing the lower, one cannot love another person without having moved from identification, vicarious feeling, fellow-feeling, and benevolence toward them. Interestingly, suffering may become a barrier to truly loving someone if the other emotional states have not been cultivated prior to suffering. For example, one felt sorry for the people of Japan when they were hit by the earthquake and tsunami, which motivated many people to donate money to them as an act of benevolence. But, how many people would wish to become further involved in helping these people? For that to occur, there must be an active love already established between oneself and the Japanese people. The saying about one laughing with the world and weeping alone applies here. Many wish to share in one’s good qualities and good company, but few wish to share in the sufferings one undergoes. The only people who wish to share in these pains are those who have known one for a long time and do all they can to deliver one out of one’s sufferings. This lies in the fact that the previous and more personal levels of sympathy have all been established prior to this point. 1Scheler, Max. The Nature of Sympathy. New Brunswick, New Jersey: Transaction Publishers, 2009: 98. The next part will delve into how these two shows succeeded or failed in bringing the viewer to the highest level of sympathy: love. Part II will be posted on Tuesday. Well, dear readers, I must now prepare to go on vacation. We leave at 4 AM first to visit my brother’s in Richmond. The next day we travel to Sanibel and Captiva, Florida with the intention of staying there until July 1st or until we begin to feel sorry for leaving our cats. The change of routine will do me well; however, this will cause a short period of inactivity here. Nevertheless, I shall attempt to read some interesting works and to scribble some essays in my down time which will find their way to this blog after July 1st. Yes, I’m an incorrigible bookworm, but this mode of being has some benefits. 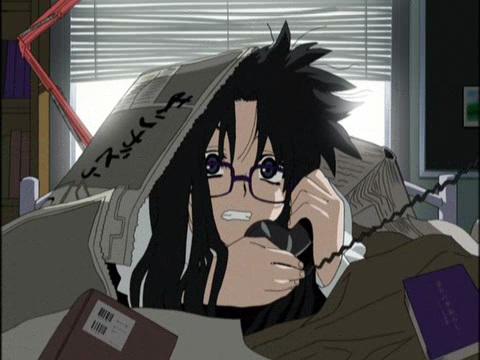 The greatest bookworm of them all, Yomiko Readman! 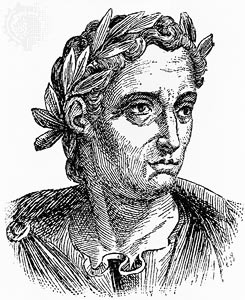 For example, when Pliny the Younger’s guardian, Pliny the Elder, enthusiastically suggested that they go and see the eruption of Mount Vesuvius up close, Pliny the Younger replied that he would prefer to read a certain book. Pliny the Elder no doubt chided his namesake concerning his lack of a spirit of adventure and scientific inquiry, but this turned out to be Pliny the Elder’s last scientific foray. Here are some examples of the anecdotes to which Notker treats the reader: Charlemagne gives a merchant free rein in order to trick a bishop known for buying silly trinkets and baubles. The merchant, declaring to the bishop that he possesses a rare oriental creature, convinces him to buy a painted mouse for “a full measure of silver” (something over fifty pounds of silver, I suppose). This same bishop later receives an edict from Charlemagne to the effect that he must preach a sermon on a certain feast day or else forfeit his see. While the bishop realizes that he severely lacks rhetorical skill, he does not wish to relinquish his see. So, he stands behind the pulpit as if to sermonize, then notices a certain person who, in order to conceal the redness of his scalp, has his head covered in church. The bishop demands that the man be brought to him in bold tones. Then, once the man is in arms’ reach, he snatches off the covering and solemnly declares to the congregation: “Lo and behold, you people! This fool is red headed!” Forthwith, he continues the mass. 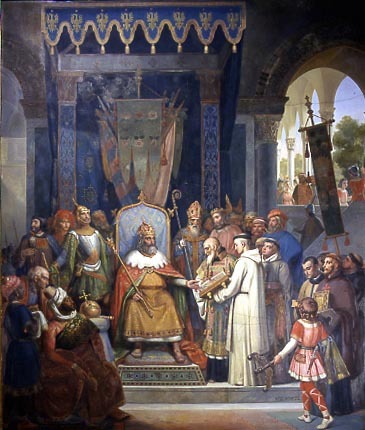 When some of Charlemagne’s representatives reported this to him, the monarch is said to have been pleased by the bishop making some kind of effort to obey his edict. This one stands as my favorite: the Greeks have a custom that the king is disgraced whenever a fellow diner looks through a pile of meat for a better cut. One can only take whatever is on top. 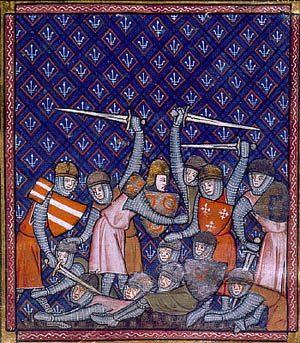 While visiting this country, a clever knight of Charlemagne’s does so, and several Greeks demand that he be put to death for “disgracing” the king. Charlemagne says he must do as they say, but he tells the knight that he may ask for one final boon. The knight requests that all who have seen him do this have their eyes put out. Charlemagne agrees to this strange request and is closely followed by the queen in declaring that he did not see him do this, swearing by God. The end result is that all the Greeks and Franks at the table swear by God and the saints that they had not seen the knight do this, who is spared from capital punishment for lack of a witness. Einhard, unlike Notker, actually lived during Charlemagne’s time as a close confidant of the emperor, admired for his learning and character. His work is much more historical than Notker’s, and especially useful since he was present at all the events he chronicled. 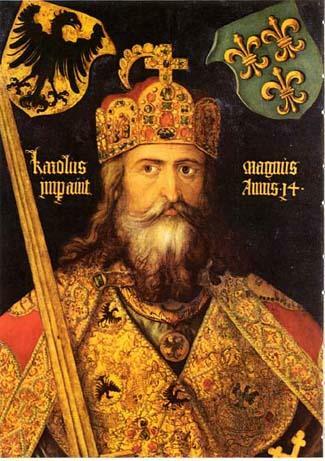 He gives more details concerning Charlemagne’s wars and even provides us with a physical portrait of the emperor. Though, it describes the emperor’s character in a matter of fact way, it is still almost as engrossing as Notker’s anecdotes. So, this is a very good edition for those of you who both want the historical background of this man’s times and a more personal sketch of his character. May you all also enjoy pleasant vacations and good books this summer!